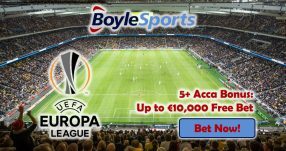 You are here: Home / Accumulator Bonuses / Free Bet Bonuses / Mobile Bonuses / Parlay Bonuses / Soccer Betting Promotions / Sportsbook Bonuses / Sportsbook Promotions / Betway Football Promo Offers 20% On Top of Your Winnings! Place wagers on four-folds or higher on Both Teams to Score and you can scoop 20% extra on your winnings with the Betway Football Promo! Betway Sports will reward you in a form of a Free Bet up to $200 (20% extra) on any football league until the end of the season. This means that you have until May 15 to make all your bets with this Betway Football Promo and get the 20% Extra Special. Place a wager of at least $5 on a four-fold or higher on any football match to qualify for this offer. What’s realty great about this Betway Football Promo (Both Teams to Score) is that In-Play bets are also accepted, so you can make changes to your wagers during the games and use this offer to win up to $200 extra. Premier League round 33 is right around the corner, and a number of exciting games are scheduled to take place. 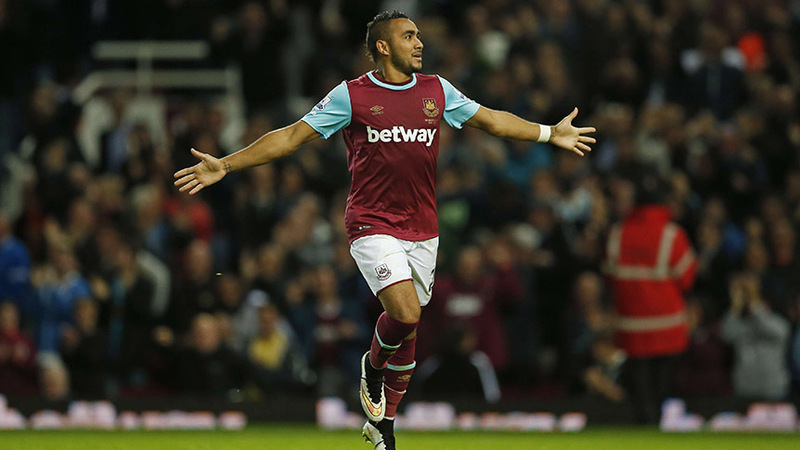 West Ham will play Arsenal in what is sure to be a thrilling London derby. The Hammers are underdogs 3.75 (11/4) on their own ground, but they have beaten many big teams this season under new manager Slaven Bilic. The last time West Ham faced Arsenal at the Emirates in the league, they defeated them 2-0, so you shouldn’t discard them for this match. 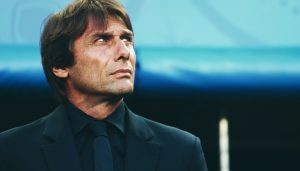 The Gunners are favorites to win 1.95 (19/20), but they’ve blundered on countless occasions this season, so a draw may be more likely 3.60 (13/5). Sunderland 3.40 (12/5) will face Premier League leaders Leicester 2.20 (6/5) on Sunday, and judging by the form they’ve enjoyed all year long they should be able to clinch the 3 points with relative ease. 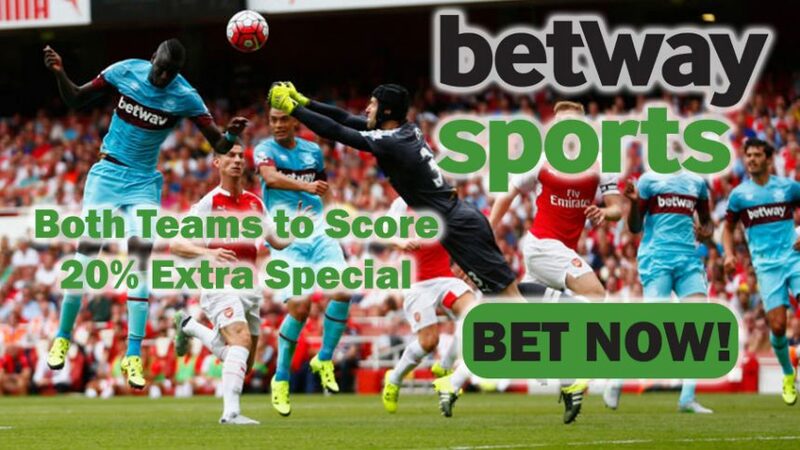 Don’t forget to use the Betway Football Promo (Both Teams to Score) on this game as well. Manchester United will go up against second-placed Tottenham at White Hart Lane on Sunday as well. The way Louis van Gaal’s men have played all season, they’re not expected to pose any serious threat, which is why The Spurs are favorites to win 1.90 (10/11). 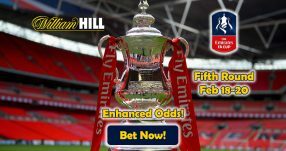 Man United on the other hand are strong underdogs with odds being 4.33 (100/30), while a draw 3.40 (12/5) is the most that they can hope for from this game. The Betway Football Promo (Both Teams to Score) runs until May 15, so use it every chance you get to get 20% extra on your winnings! 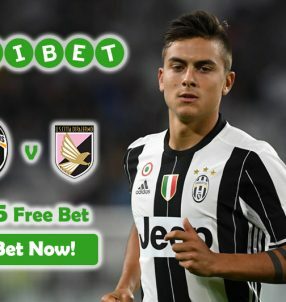 Get up to $200 extra with the Betway Football Promo!